Astronaut Tim Peake's safe return to Earth has been questioned by a concerned Prince of Wales who asked him if he really was all right after his six-month space mission. 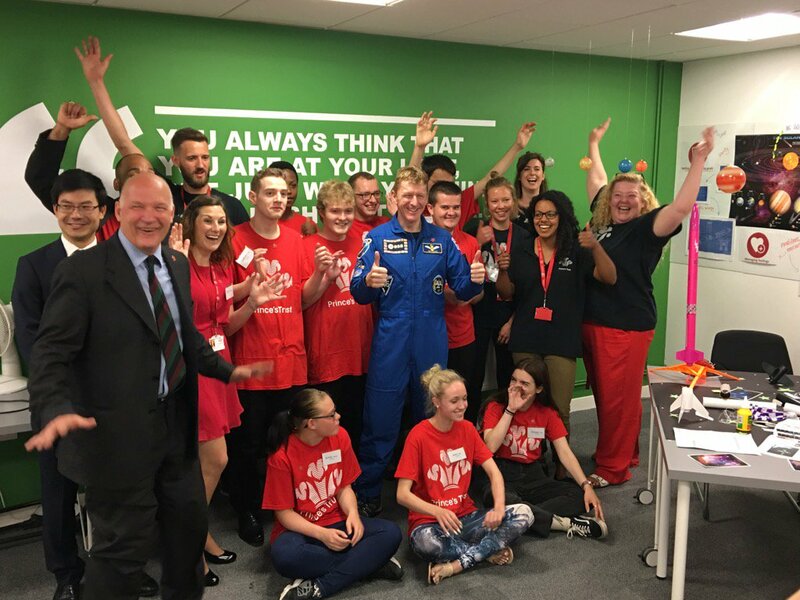 The former test pilot told Charles his Soyuz capsule experienced extreme temperatures on re-entry and landed in Kazakhstan with the force of a small car crash, when they met at the Bristol centre of the Prince's Trust. Major Peake became a Trust ambassador more than a year before being launched into space for his mission on the International Space Station. And while orbiting the Earth, he even ran the distance of the London Marathon on a treadmill to raise awareness about the charity's work. When the Prince met the astronaut, he asked him: "Are you sure you're in one piece?" and the 44-year-old father-of-two replied that he was "feeling great". He added: "It does take a while - took a week for the balance to return," but he was "now feeling absolutely great". Charles was in Bristol to open his Trust's new centre and mark the launch of a major report, produced by his organisation, which highlights how young people from poorer backgrounds are disadvantaged when looking for work. Major Peake, a reservist with the armed forces, was helping three young people - all enrolled on a Trust personal development programme - make rockets from a kit when the Prince arrived. Charles joined them at the table, which was covered in books and rocket parts, and said taking off in a rocket was "all right" but it was the "coming down" which was the problem. The astronaut said the landing was cushioned but the impact was "still at 30kph - like a small car crash" and that the temperature of the capsule during re-entry was 2,000C (3,632F).